Home » india news » Here's what happened when GoAir’s passenger on Delhi-Patna flight tried to open the airplane’s door mid-air! Here's what happened when GoAir’s passenger on Delhi-Patna flight tried to open the airplane’s door mid-air! 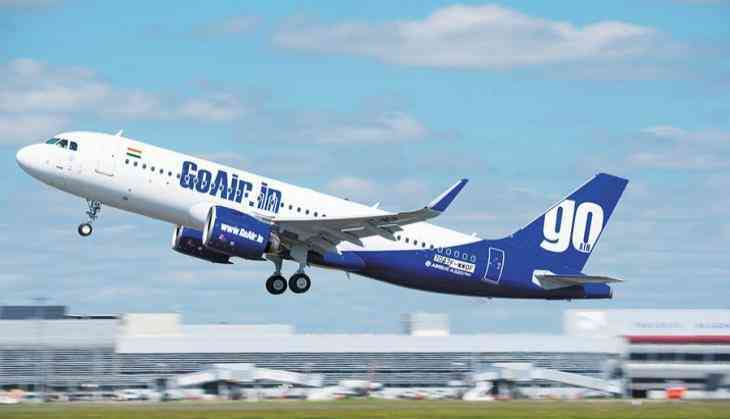 A passenger on GoAir’s Delhi-Patna flight attempted to open the airplane’s rear door mid-air. He was instantly stopped by the co-passenger to do so and handed over to Central Industrial Security Force (CISF) personnel when the plane safely landed at Patna’s Jayaprakash Narayan International Airport. The airline informed about the incident, which happened on Saturday, through tweet. The airline said that a passenger on flight G8 149 was trying to open the rear door. It was noticed by a co-passenger who raised an alarm. Then the crew stopped the passenger and handed him over to the CISF for further investigation. The passenger was a first-time flyer who works in a private bank in Rajastha’s Ajmer. The incident caused panic among his fellow passengers. According to aircraft engineers, the gate of an exit door of an airborne plane cannot be opened due to cabin pressure. According to Station house officer (SHO) of the airport police station Mohammed Sanowar Khan, the incident happened because of confusion. He was later released on a personal bond on Sunday.